This is another one of my one of a kind statement necklace in my wire twirl neck candy collection. This handmade necklace is a mix of tribal and bohemian feel. The wire twirls are lightweight aluminum wire material while the chain and toggle clasp are antiqued brass finished. Beads used were wood beads and seed beads. This is not exactly a choker style because it is just near below collar bone. The total length of this necklace is approximately 19.5″. It may not be neck hugging but it gives that sense of style and elegance. Wear it over a sleeveless sheer top, mullet skirt, and peep-toe heels for a stylish day at the office. You can also wear this with jeans and cute baby tee for an everyday casual look. I made this design originally for a gift shop store in manila. This design is now available at my Etsy shop (https://www.etsy.com/listing/159442735/eclectic-tribal-vintage-statement?ref=shop_home_active). Those that plan to open up Tiange (Christmas shop booth) you can contact me for wholesale pricing. I have been on a holiday in Thailand and just came back last June and then had been busy again working on other projects. I just got back into creating and finally finishing jewelry pieces like three weeks ago. 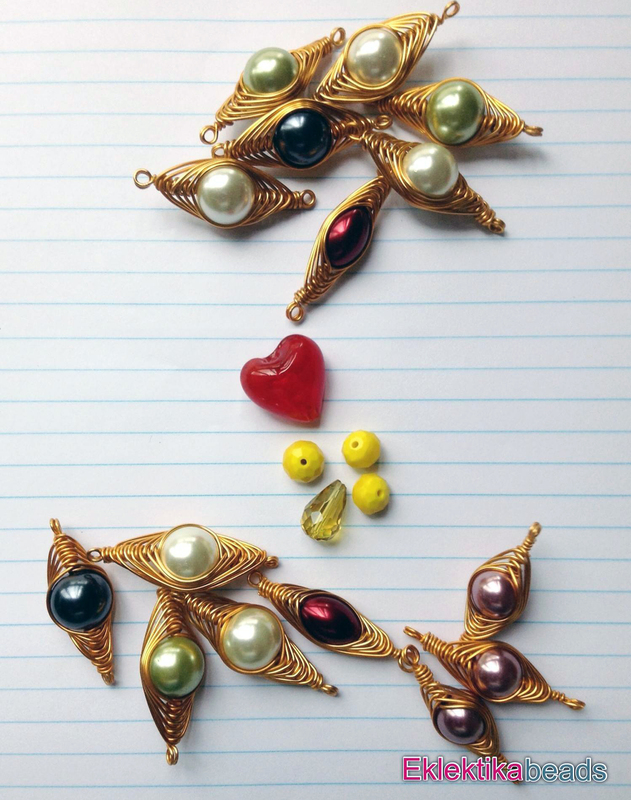 This is one of my designs from my wire twirl neck candy collection. I originally made this design for a local store in Manila. My handmade jewelry design is an eclectic mix of tribal and boho. Materials used for this artisan jewelry are wood beads, seed beads, aluminum wire and antiqued brass finished chain and toggle lock. This design is now available at my Etsy store (https://www.etsy.com/listing/159431830/eclectic-vintage-tribal-boho-beaded-wire) I have also created other color combinations which I will post in the following days to come. I just put up my personal treasury list on Etsy. The theme I decided to focus on my treasury would be based on “Upcycled” materials and designs. I love how artists breath in new life from old materials. How they use creativity as a tool to help the environment. I featured items from different categories ranging from home accents, jewelry, bags, clothing and craft supplies. You can check my upcycled treasury list by clicking the image. 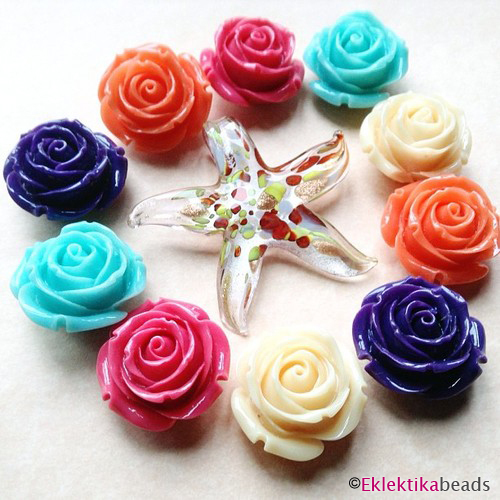 Beautiful starfish glass bead surrounded by resin flower beads that looked like candies at first glance. These reminds me of wedding cake flowers. 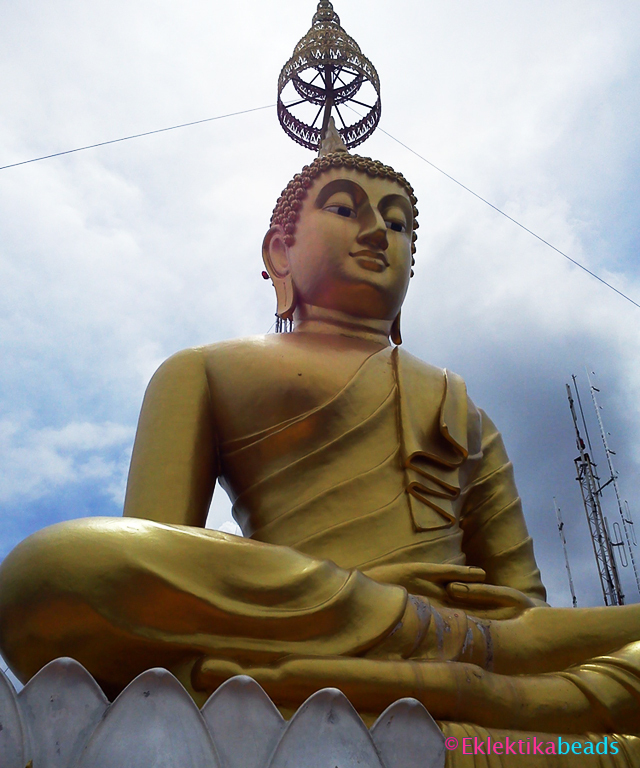 The Tiger Cave Temple (Wat Tham Seua) in Krabi, Thailand has its big Buddha on top of the mountain. It takes 1,275 steps to reach the top. This is my take in this week’s challenge because I think that whenever we decide to move forward in life, a change happens. Struggles may arise and can take place in any form (emotional, mental, physical). There are those moments when we have to be outside of our comfort zones to be able to move forward in life. Decisions need to be made. Frustrations and fears can creep in even before we even take the first step of moving ahead towards our goal. In the end forward would mean you are welcoming risks and change. 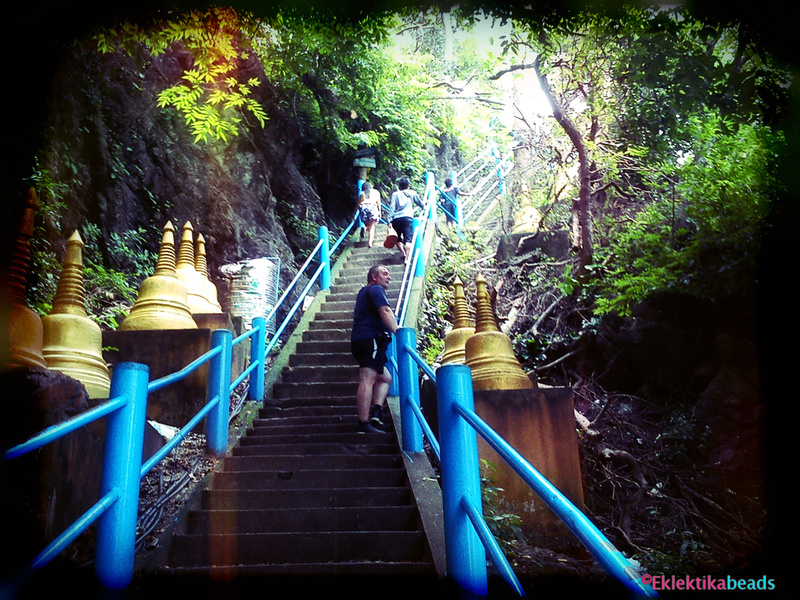 Some of the steps were steep but in the end of our journey we reached the top of the mountain and saw the big Buddha of Wat Tham Seua. We have not been able to do it if we were not willing to do a bit of sacrifice and have a dose of patience and perseverance. It was easy to just quit half way towards our journey because at each turn we take the steps going up the mountain didn’t seem to stop at all. It all seemed to be a never ending series of steps.